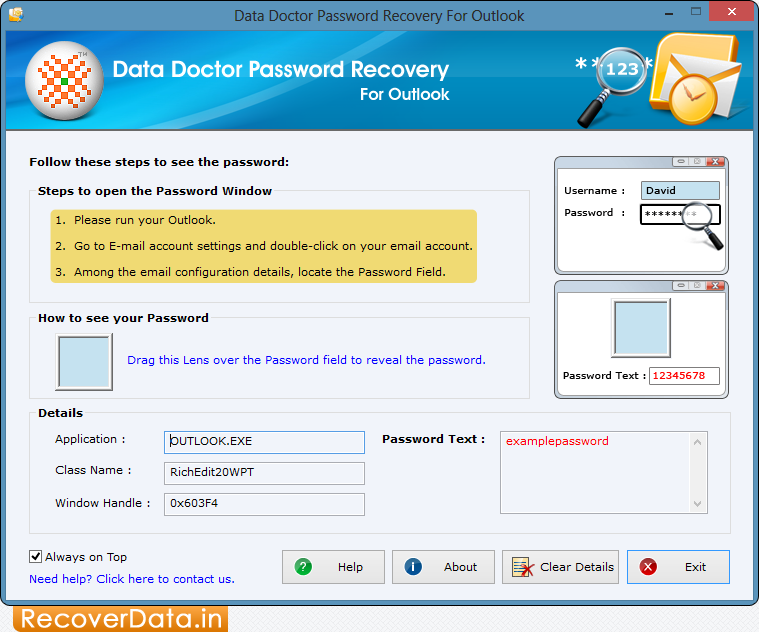 Install and run Password Recovery Software for Outlook on your PC. 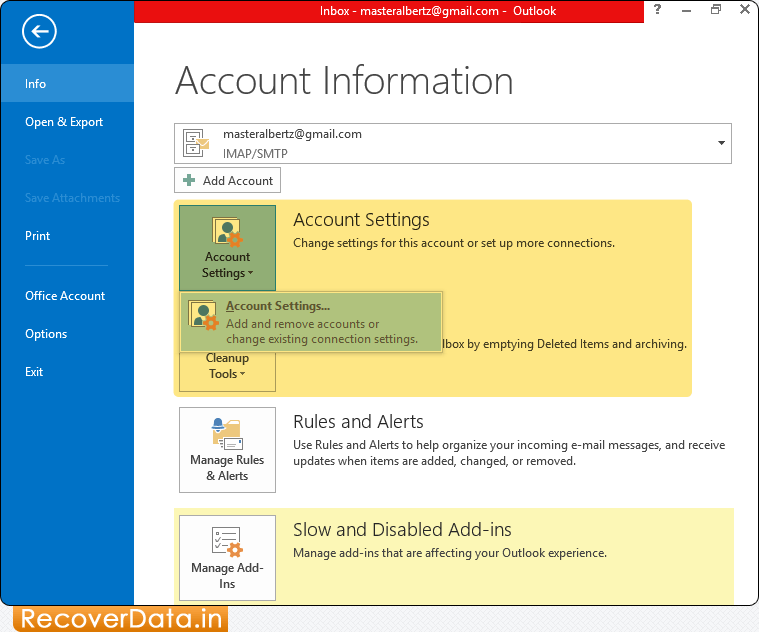 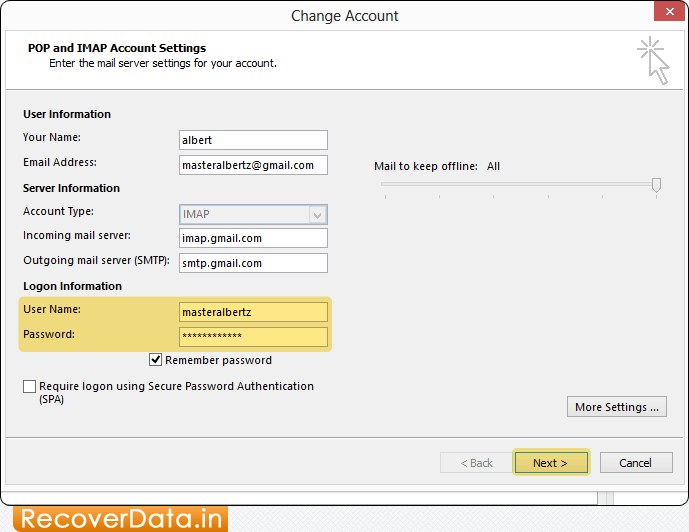 Open MS Outlook, then Go to the Account Settings. 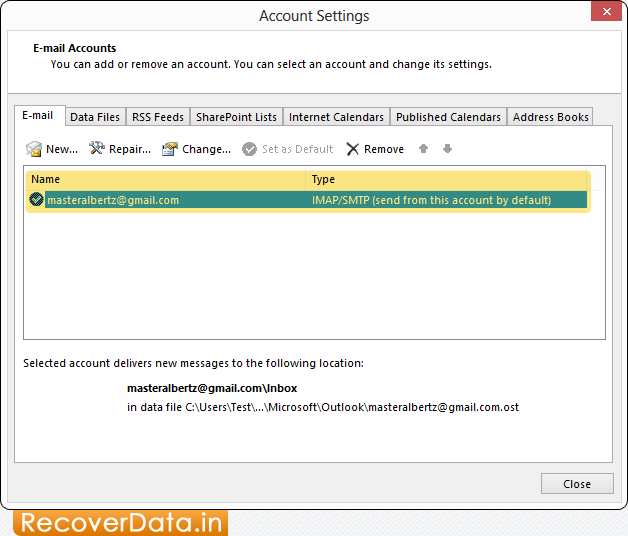 Now, double click on your E-Mail Account. 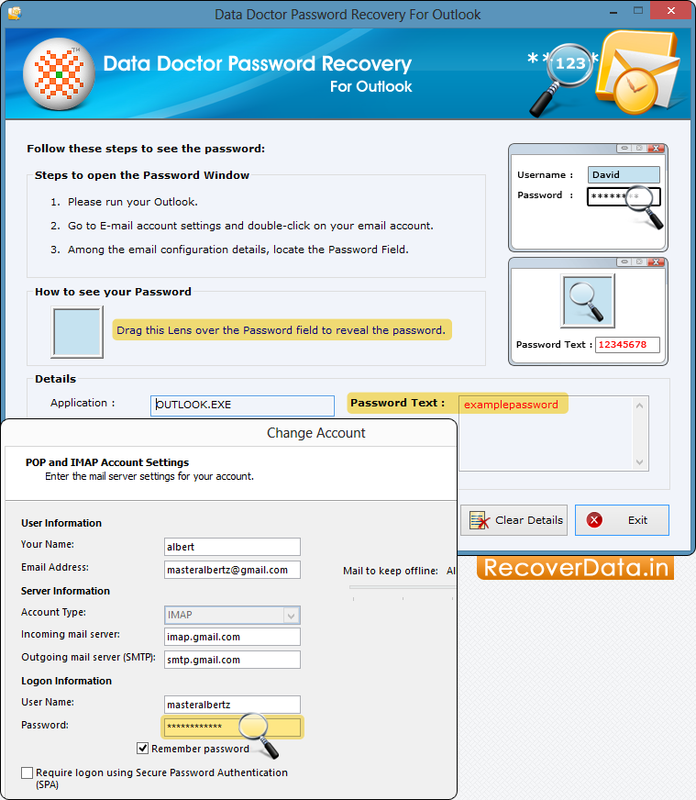 Drag lens over the password field to view lost or forgotten passwords.